Ugh! I’ve lost another battle to the dandelions. I was gaining on them this year because the weather was cooler for a while but then a couple of weeks ago we had three days of rain and a warm weekend – it was all over but the crying. I’m not giving up entirely and will continue on my mission to pull all of them up in the front yard. Hopefully this will put me in a better position for next year’s dandelion battle. Wish me luck. On to more dandilicious happenings… I was debating whether I should post this recipe because I wanted to tweak it and bring you the revised version with double the cookie dough but time didn’t permit. While this version is delicious, I am a cookie dough lover and feel that you can never have too much. These bars a full of buttery goodness and although the cookie dough isn’t as sweet as the chocolate chip cookie dough I’ve had, it’s still quite yummy. If you’re a fan of shortbread, this bar certainly has what you’re looking for too. Feel free to leave the recipe as is, if you prefer to have more shortbread than cookie dough. I will certainly double the cookie dough the next time I make them. Which version would you prefer? Step 1: For the shortbread: Cream together butter, brown sugar and salt in a large bowl on high speed for 3 minutes. The mixture should look light and fluffy. Scrape down the sides of the bowl, as needed. Mix in 1/3 of the flour until combined using a low setting on your mixer. Repeat for each of the remaining 1/3 additions. Step 2: Prepare an 8 inch by 8 inch baking pan by lining with aluminum foil and greasing with cooking spray. Transfer the dough to the baking and press evenly across the pan. Bake in a 350 degree preheated oven for 25 to 30 minutes. The top should be golden brown. When done, remove the pan from the oven and cool on a rack for 30 minutes. Place the pan in the refrigerator or freezer to cool completely. Step 3: For the cookie dough: In a medium sauce pan, melt the butter and sugar over medium heat. Stir constantly until the butter is melted and the sugar has mostly dissolved. This will help the cookie dough to have a less grainy mouth feel from the sugar. The mixture will take on a custard-like look – this is okay. Transfer the mixture to a medium mixing bowl, let cook for 15 minutes and then beat at a high speed for 2 to 3 minutes. Add in the milk and vanilla and mix to combine. Mix in the flour at a low speed until combined. Spread cookie dough evenly on the completely cooled shortbread. Using the back of a silicone spatula, smooth the top of the cookie dough for an even finish. Step 4: For the topping: Combine cinnamon and sugar in a small bowl and sprinkle evenly across the top of the bars. Place in the refrigerator for a few hours or overnight to set and cool completely. Slice into 2 by 2 inch squares. Recipe adapted from love to be in the kitchen. Tips: Store in an airtight container in the refrigerator. Liz from That Skinny Chick Can Bake always has perfectly cut cookie bars, so I used her Tip of the Day to cut the bars. This entry was posted in Cookie, Dessert and tagged bar cookie, cinnamon, cookie dough by Annamaria @ Bakewell Junction. Bookmark the permalink. Those look delicious. Thanks for sharing at The Gathering Spot. 🙂 Have a safe Memorial Day weekend! I left a comment on your About Me page, but wanted to mention here that you have been randomly selected as this week’s Featured Host on Lovin’ The weekend. I look forward to hearing from you soon. Also, I would love for you to stop by and share this yummy recipe on Kids and a Mom in the Kitchen. The new one will be up tomorrow. Dandelions are so tough to get rid of – seems like every year they come back stronger than ever. But there is something so cheerful about their bright yellow faces that makes me smile… A lot like these bars – I want one! How fun you made my recipe! So glad you enjoyed it. These are delicious! Pinned this. My hubby loves snickerdoodles and I think he’ll like these bars. 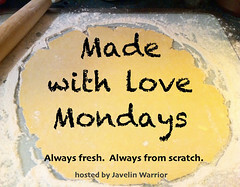 Thanks for sharing your recipe on Merry Monday Linky Party. What a yummy combinations with the shortbread AND the cookie. pinned to try. And dandelions are so frustration. My husband use to kind of keep up on them with mowing. We were lucky and did not have many in our flower bed. I have heard that pouring boiling water on them kills them—as well as vinegear after just 2 or 3 days but never tried it myself. stopped by from friday frenzy. Have a great weekend. these look so good I love snickerdoodles. Thanks for the recipe. Thanks for linking up at Tell Me About It Tuesday. We hope you hop over and share with us again next week. My youngest loves snickerdoodles! And I like making bars 🙂 These will be added to my never ending baking list. Great cutting job…and thanks for the mention!!! Dandelions are a never ending battle, that is for sure! 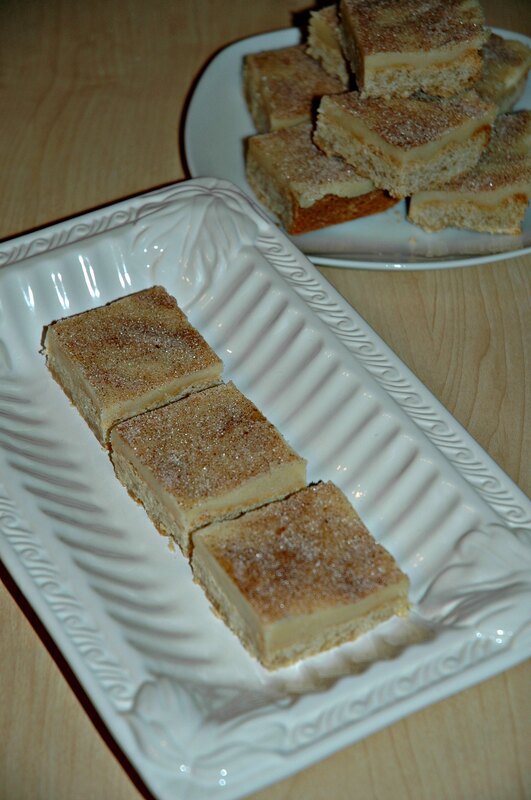 Your Snickerdoodle Cookie Dough Bars look delicious – what a lovely treat, Annamaria. Thank you for sharing the recipe with us at the Hearth and Soul hop. Wishing you and your family a lovely weekend. This looks delicious! I love snickerdoodle cookies, and these bars look even better! I’ll definitely have to see if I can give it a try! How can a nice Italian girl like you be bothered by dandelions… make salad, make wine… they are so good for you. As a New Englander I love snickerdoodles great idea to make bars with them. Wow. This recipe was created for my oldest son. Thanks for sharing ~ his vote is that I stop typing and start making. 🙂 YUM! 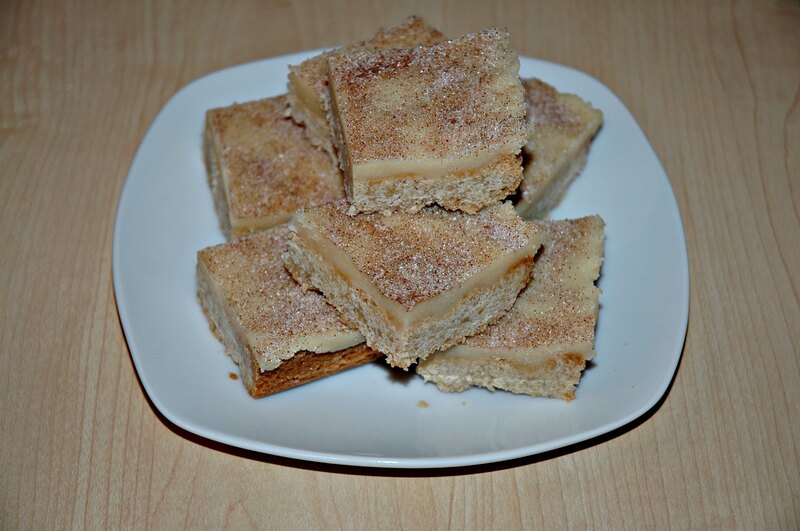 We are a Snickerdoodle family and we would just love your Snickerdoodle Cookie Dough Bars. Thanks so much for sharing your awesome recipe with Full Plate Thursday. Hope you are having a great week and come back soon! What a delicious recipe! Thank you for sharing with us at the Show Stopper this week! !